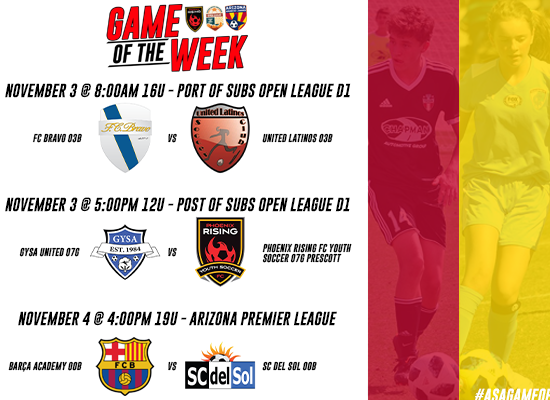 Thursday, November 1, 2019 -- A new weekend means a new slate of Phoenix Rising FC Arizona Advanced Leagues and Port of Subs Open League Game of the week matches. Be sure to follow us on our social media pages for updates all weekend long! Week #5 - SPECIAL Pima County Junior Soccer League (PCJSL) coverage!